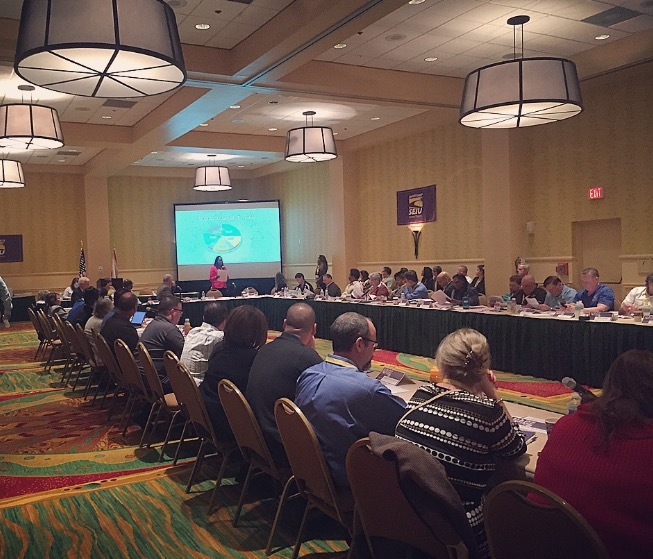 The National Executive Board Meeting was held December 1st-3rd, 2015. The National Association of Government Employees Executive Board members gather semi-annually to review progress and plan for the future of our labor union. We’d like to thank and acknowledge the attendees and presenters for their hard work last week. We’re inspired by their commitment and dedication to making positive changes for our union brothers and sisters. We look forward to bringing you more details, photos, and videos next week. 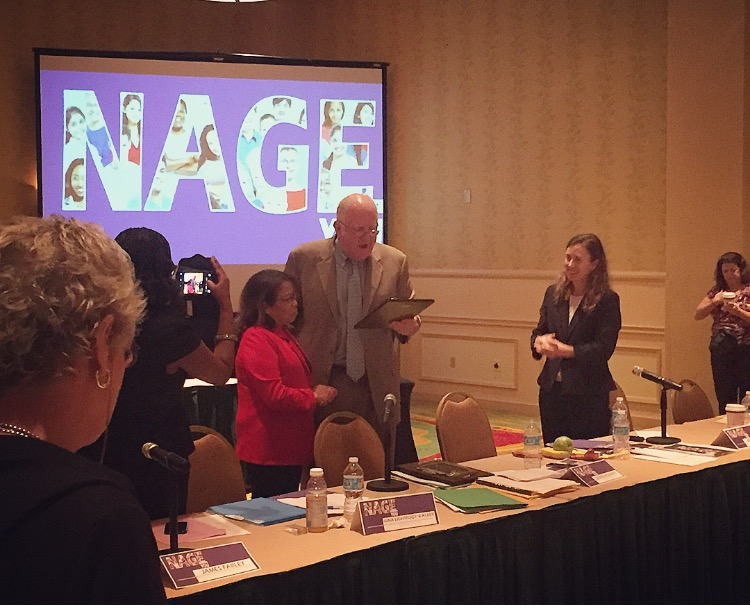 National President David J. Holway presents recently retired National Vice President Evelyn Sipriaso a plaque in appreciation for her leadership as President of NAGE Local R3-019 and her dedicated service to the National Executive Board. National Executive Board members listen in as General Counsel Gina Lightfoot Walker presents the 2015 Legal Report.